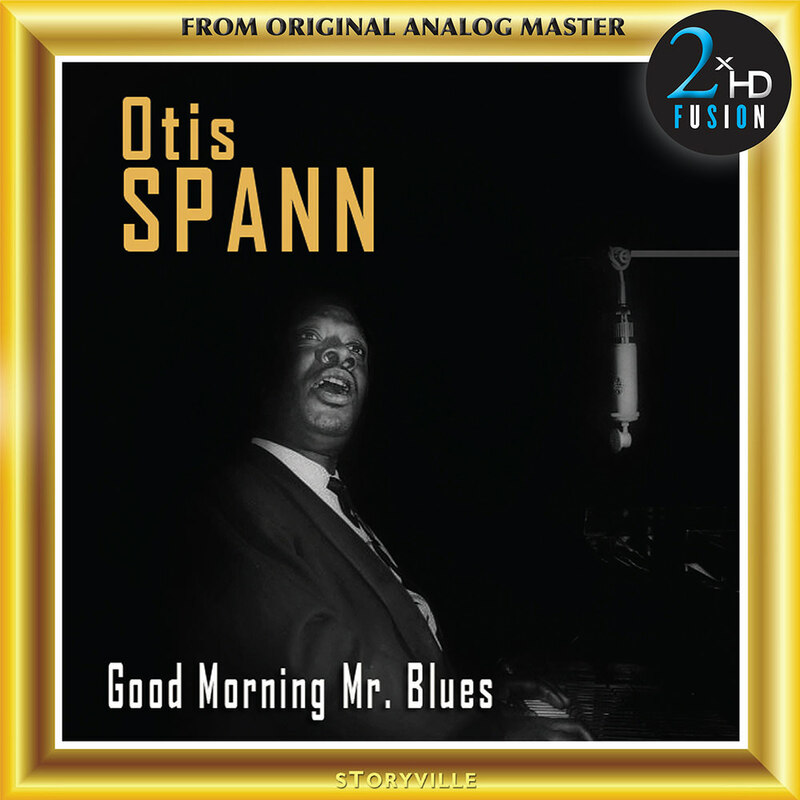 Good Morning Mr. Blues from Chicago pianist Otis Spann has been cherished by audiophiles over the decades since its initial LP release. Remastered with the proprietary 2xHD Fusion process, it is now available in all high-resolution formats. Recorded in Copenhagen for the Storyville label in 1962 while Spann was on tour with Muddy Waters, the material showcases the pianist in an unusual setting, unaccompanied or in duet with a single supporting guitar. Spann interprets blues standards and his own originals, many of which seem like spur-of-the-moment improvisations. Because of the clarity of both the sound and the sparseness of the accompaniment, the album constitutes a valuable document of Chicago blues piano at its finest. The mastering chain consists of a selection of high end vacuum tube equipment. For the recordings on this album, the original ¼” 15 ips CCIR master tapes were played on a Nagra-T tape recorder, modified with high end tube playback electronics, wired from the playback head directly to a Telefunken EF806 tube, using OCC silver cable. The Nagra T, with its four direct drive motors, two pinch rollers and a tape tension head, has one of the best transports ever made. A custom-built carbon fibre head block and a head damping electronic system permit 2xHD FUSION to obtain a better resolution and 3D imaging. The resulting signal is then transformed into high-resolution formats by recording it in DSD11.2 kHz using a Merging Technologies Horus A to D converter. All analogue and digital cables that are used are state of the art. The 2xHD FUSION mastering system is powered by a super capacitor power supply, using a new technology that lowers the digital noise found in the lowest level of the spectrum. A vacuum tube NAGRA HD DAC (DSD) is used as a reference digital playback converter in order to A and B with the original analogue master tape, permitting the fusion of the warmth of analogue with the refinement of digital.